In September I visited Boston to talk with people in the city and at MIT about GreenCityStreets. Lots of interesting discussion and ideas to follow up on in 2012. I had some time to go down memory lane, and walked through the Public Garden on a beautiful fall day. When the weather was good I used to walk home from Northeastern through the Public Garden to my apartment in the North End. It was a great way to unwind from my Masters Thesis research. My route took me through the Fenway, people watching on Newbury Street in the Back Bay, then through the Public Garden, crossing the street into The Commons, then past the Park Street MBTA station, through Government Center, by Haymarket, then under the Central Artery to Salem Street. 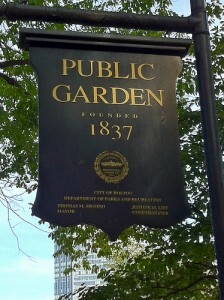 The Public Garden was always a highlight in early spring and summer. Green lawns with lots of flowers, generally the Swan Boats were stowed away for the night, and a cool breeze. 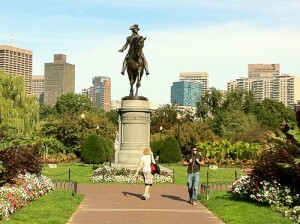 All my Boston Public Garden photos on Flickr.